Industry leaders and corporate elites look for value and meaning in their purchase. Maintaining one’s level of success is just as important as attaining it, making investments that passively generate income a wise decision for the well-established. Real estate remains to be one of the best investments one can make, as it often provides another income stream while rising in value over time. The financial stability a piece of property promises then brings some peace of mind. As with real estate, art is an investment whose value appreciates over time. The emotions and meaning a breathtaking piece brings to the interiors of one’s home, however, are absolutely priceless. It’s long been understood that an aesthetically pleasing home has a positive impact on your general mood. Paintings, sculptures, and other mediums of art, therefore, are as much an investment in your psychological health as they are a monetary one. Owning high-end phones, tablets, and laptops isn’t just about the power or status these devices might bring; rather, the tech ecosystem you build for yourself helps generate the most valuable resource of all: time. By investing in devices that automate the minutiae of your day, and by giving yourself the ability to work while on the road, you live more efficiently—which, in turn, affords you more time to focus on the more fulfilling things, like spending time with the kids or going on that adventure you’ve been eyeing. Opening yourself up to new cultures, foods, and experiences lets you grow in ways that simply aren’t possible when you’re holed up in a single city. That growth leads to newer ideas and greater opportunities, allowing you to build upon the successes you’ve already earned while adding more color to your life. A 2016 study found that the average American spends about 290 hours on the road every year—and as most Filipinos know, life in Metro Manila has people spending more than thrice that amount of time in their vehicles. That’s a significant amount of time inside one’s car each day, so it only makes sense to invest in an automobile that allows you to spend those hours in comfort. The new Lexus ES 350, for instance, is designed with omotenashi—the uniquely Japanese concept of hospitality—as its guiding principle. Directly translated, omotenashi means “without a public face,” denoting a sense of pure service, one without any pretenses. This comes to light in the mid-sized sedan’s spacious interiors, meticulously crafted by Lexus’s Takumi, a team of brave, thoughtful, and imaginative master artisans. The attention to detail in every stitch and seam brings a decidedly human touch to the experience, balancing bold Japanese engineering with handmade warmth. Noise and vibration reduction measures built into the cabin help create a cocoon of comfort, shielding you from the turbulence of the outside world. More than a material reward, the Lexus ES 350 makes you feel the success you’ve earned. 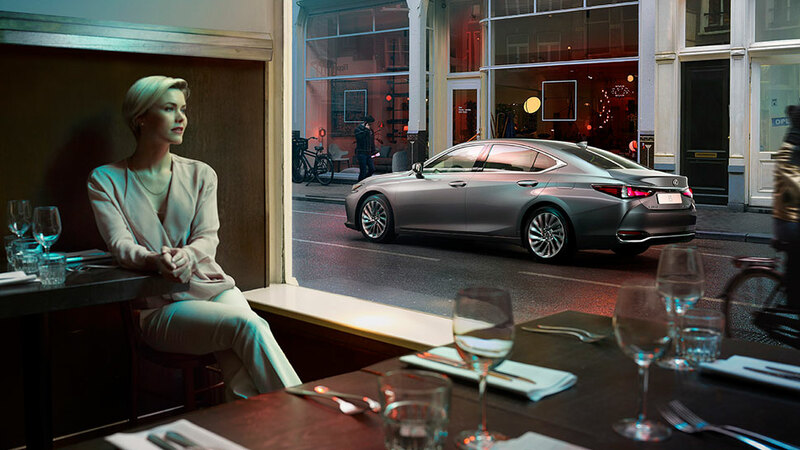 Learn more about it on the Lexus website. This article was created by Summit StoryLabs in partnership with Lexus.